Read But Never Red » Read But Never Red » Will it be City’s Dr Jekyll or Mr Hyde who swan in? Will the real Manchester City please stand up…provided it doesn’t involve tearing a hamstring, straining a calf or sustaining knee ligament damage. 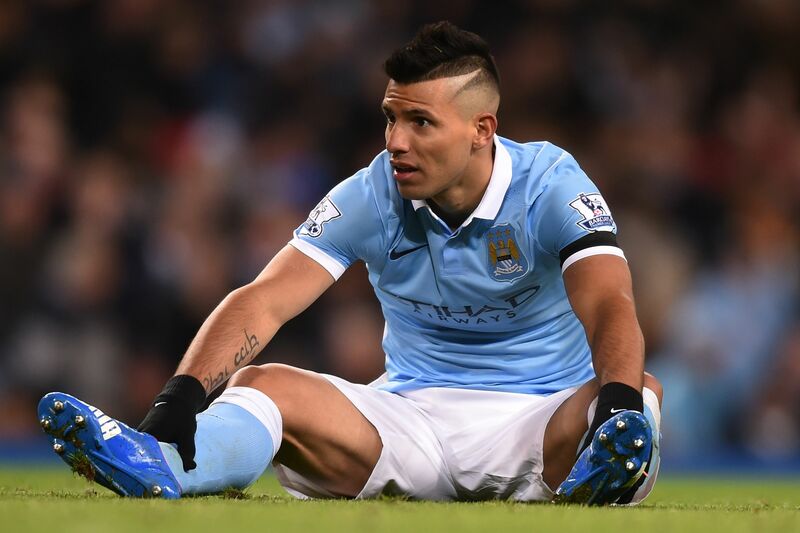 Down at heel – Sergio winces with pain after being injured against Southampton. Such is the unrelenting nature of City’s injury woes this season, one wonders if Manuel Pellegrini dined in a seafood restaurant the lobster would be off and pulled ‘mussels’ the only item on the menu. Certainly his team have served up some unpalatable ‘mains’ in recent weeks. If the 4-1 annihilation at home to Liverpool wasn’t indigestible enough, the 2-0 capitulation at Stoke had most City fans reaching for the sick bag. 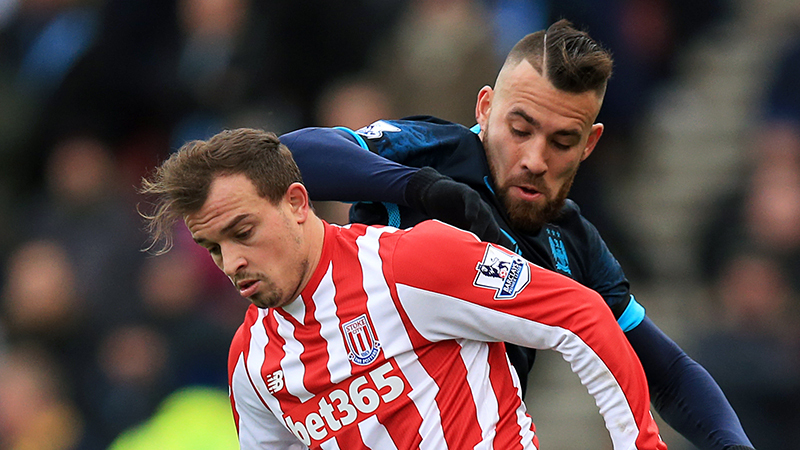 Down and out for now – Sergio misses his fourth game on the bounce, this time against Swansea. Abject performances have only served to further polarize opinions on Pellegrini, with those who have never warmed to the Chilean, twisting the knife, whereas the less rabid have reached tipping point. If Manuel is even remotely paranoid, it doesn’t mean a sizeable slice of City supporters aren’t out to get him, thanks to his team’s schizophrenic manifestations. 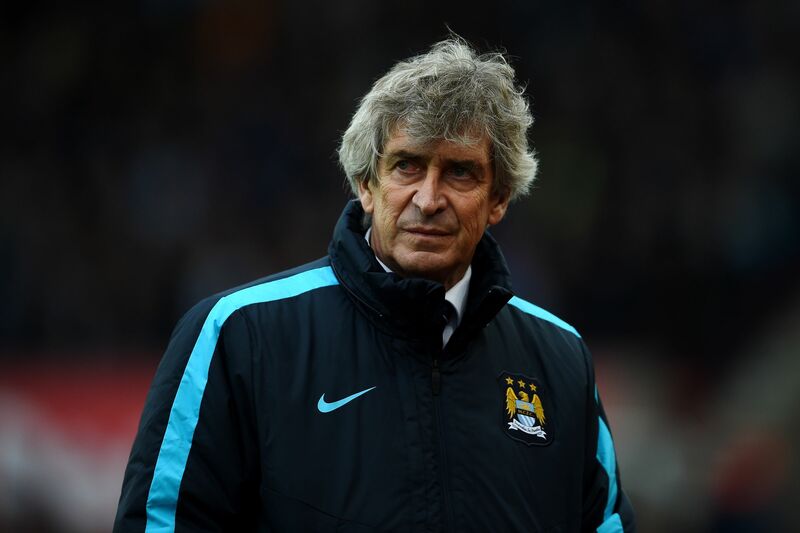 The Pain of Pellegrini – Manuel looks haunted by City’s pathetic showing at Stoke. And yet despite the prolonged absences of City’s truly world class trio of Aguero, Silva and Kompany, the stalwart Zabaleta, mercurial Nasri, plus an extensive list of niggles and ad hoc absences of others, Pellegrini still has his side alive and kicking on all fronts. Instead of ‘We’re not really here’, City are well and truly there, progressing as Champions League Group winners for the first time, sitting three points off the summit of the Premier and through to the semi finals of the League Cup. Sterling Show – Raheem celebrated his 21st birthday in style. Not too shabby Manuel, not too shabby at all. Were it not for the loss of Sergio, Captain Kompany and El Mago, City would surely be half-a-dozen points clear of the unseemly melee at the top of the PL. City have still to ‘get going’ this season, but if the three man spine of the team can return and stay intact, it could be the backbone to the club’s greatest ever season. 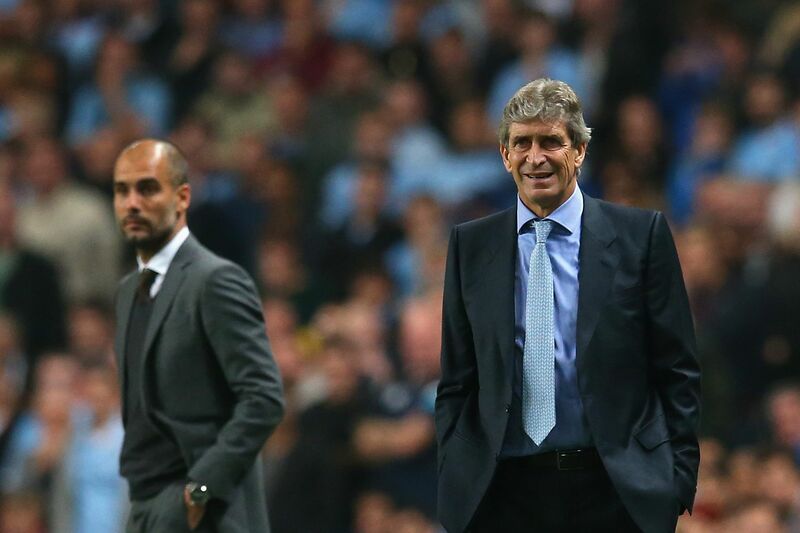 Move over Manuel – Will Pep be replacing Pellegrini at the Etihad next summer? It’s a fair assumption that this is more than likely Pellegrini’s third and final year as City’s manager. The decibels of ‘Pep talk’ continue to rise and if Guardiola has signalled his willingness to come to City, it’s a complete no brainer. In the wake of the Liverpool defeat, there were many City fans lamenting the fact that Jurgen Klopp had taken up employment at Anfield and not the Etihad. Animated, refreshingly honest, engaging and humorous, the German worked wonders at Borussia Dortmund with an attractive, all action approach. Hartbeat – Joe can’t keep out Mandzukic’s winner against Juventus, but City still won Group D.
His formula for defeating a lack lustre City was based on denying them time and space, destroying their composure and taking chances when they arose. It worked and yet a fortnight later Liverpool lost to Newcastle…go figure. It begs the question is the Premier League more exciting than ever before, or has it descended into mediocrity? Whichever – if either – is true, Manchester City can still win it for a third time in five years and, a second time in three years under Manuel Pellegrini. 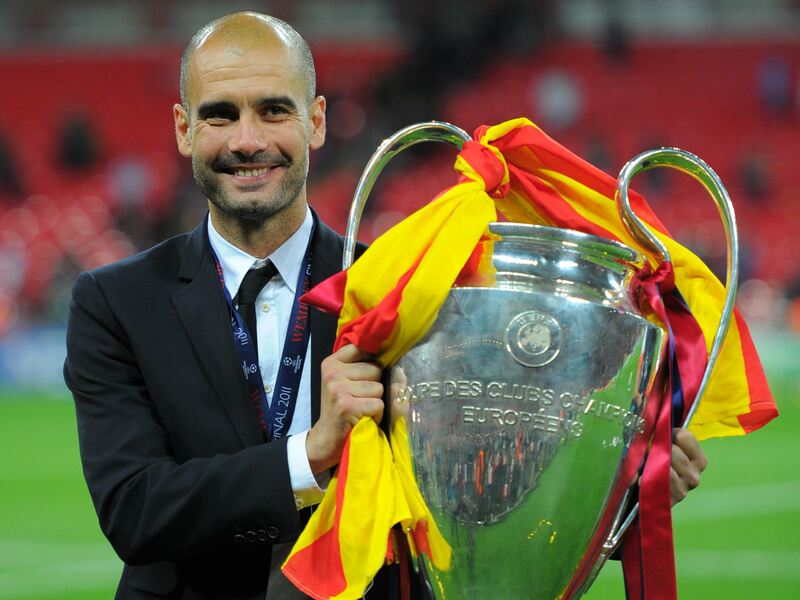 Pep talk – if Guardiola takes over as City manager next summer will Big Ears be far behind him? Nonetheless the incumbent MP at M11 3FF will be unseated in June 2016, if Guardiola contests the Manchester Managerial by-election. Before then, City will search for summer in the spring when they have the opportunity to progress into the serious parts of the Champions League. Make no mistake Group D – maybe not quite the Group of Death to which City had grown accustomed in the CL – was no walk in the park. Tuesday night’s second half demolition of Borussia Moenchengladbach was mightily impressive in the face of adversity. Idiot journalists sought to dismiss the Germans as ‘modest’ opposition, so modest that they’d destroyed Guardiola’s much heralded Bayern Munich 3-1, just three days beforehand. Pellegrini gets all the brickbats when City turn up clueless, gutless and witless at The Britannia, but none of the plaudits when overcoming an accomplished Bundesliga side, whose only loss in the15 previous matches was against none other than City on September 30th. Monday’s draw for the last 16 CL knockout stage will see City up against one of Gent, Kiev, PSV, Benfica, Roma or, knowing UEFA, most probably PSG. Notwithstanding a trip to Paris, Zlatan Ibrahimovic & Co, it’s time for City to display their mettle and believe that they truly belong among Europe’s elite. There’s no easy matches out there, just as there weren’t in Group D, nor even in a topsy-turvy Premier League. Yes, yes Yaya – Toure produced a masterly display to help guide City past Moenchengladbach. With 33 domestic points to gain, a place in the League Cup Final up for grabs and hopefully two FA Cup ties to play before another European sortie, City are entering crucial and hectic times. They start against an under-performing Swansea who have just sacked manager, Garry Monk. It comes too soon for Aguero, Kompany and Zabaleta, whereas Nasri remains a long-term casualty and Fernando is out with a hamstring injury. 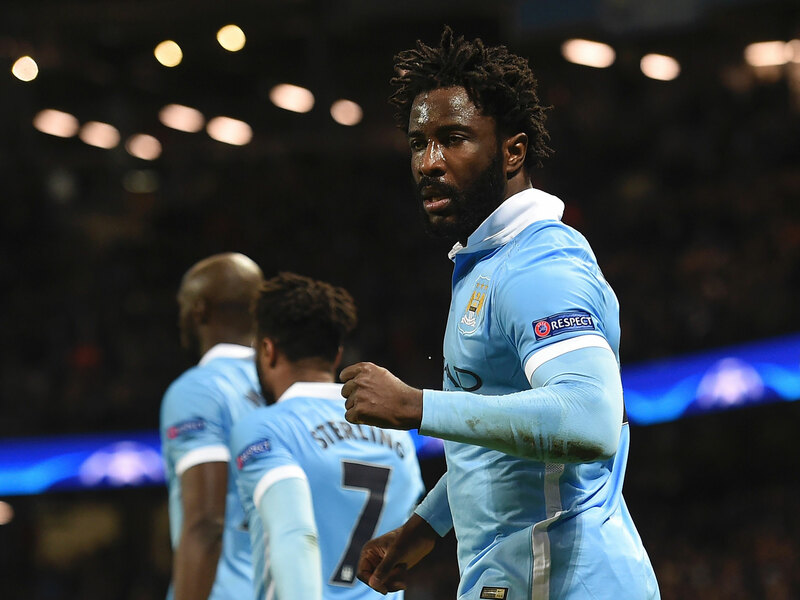 One-in-three – Bony has scored six goals in 18 games for City this season. Wilfried Bony might start against his old club having scored 6 goals in 12 starts and half-a-dozen appearances off the bench this season. Promising, but oft infuriating, Raheem Sterling will look to carry on where he left off having scored a brace against Borussia on his 21st birthday. With 8 goals from 19 starts and 3 showings as a sub, Sterling’s stats look pretty good. Judged by the size of his transfer fee, rather than his youth and vast potential, Raheem has been ineffective and frustrating at times, but electrifying on others. He can only get better in an attacking line up containing Aguero, Silva and Kevin De Bruyne. £98m could yet be City gold – expensive signings Sterling and De Bruyne are doing ok and finding their way at City. The Belgian playmaker and goal taker was a prime target for the Borussia boo-boys on Tuesday, having won the German Cup last season with Wolfsburg. Like the rest of the team (Joe Hart excluded), KDB went AWOL at Stoke, but the flame-haired fan’s favourite has been quick to settle at City. 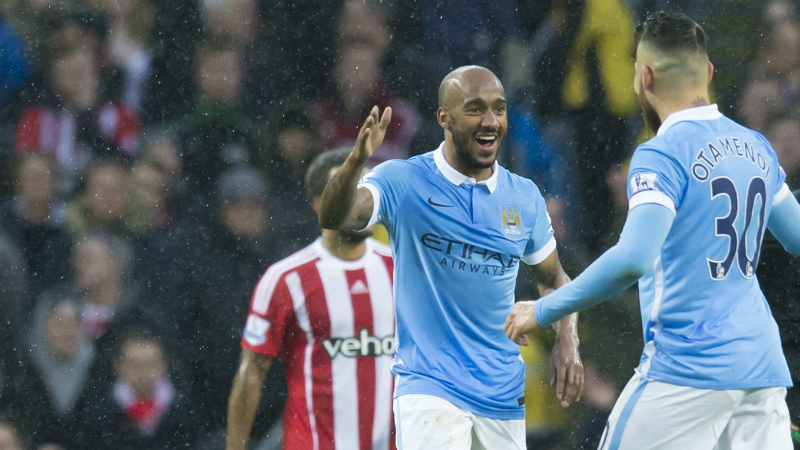 On fire – flame haired KDB put the dampener on Southampton at a rain swept Etihad. Nine goals and numerous assists make him the best of City’s summer signings so far. His acquisition, along with Sterling, Nicolas Otamendi and Fabian Delph, has been instrumental in sustaining an unlikely quest for a quadruple. City were widely credited as having the best dealings in the last transfer window and, despite a handful of desperate showings, all four are adapting to life at a club where expectations – both of the owner and the supporters – are sky high. Off the field, Sheikh Mansour, Chairman Khaldoon Al Mubarak and CEO Ferran Soriano clinched a spectacular business coup, with a £265m Chinese investment for just a 13% stake in the City Group. It values the Group at $3billion and puts City in pole position to capitalise on the vast commercial potential in China. Football finance expert, David Bick commented: “City have blindsided other major clubs with one of the most remarkable deals I’ve ever seen in football. 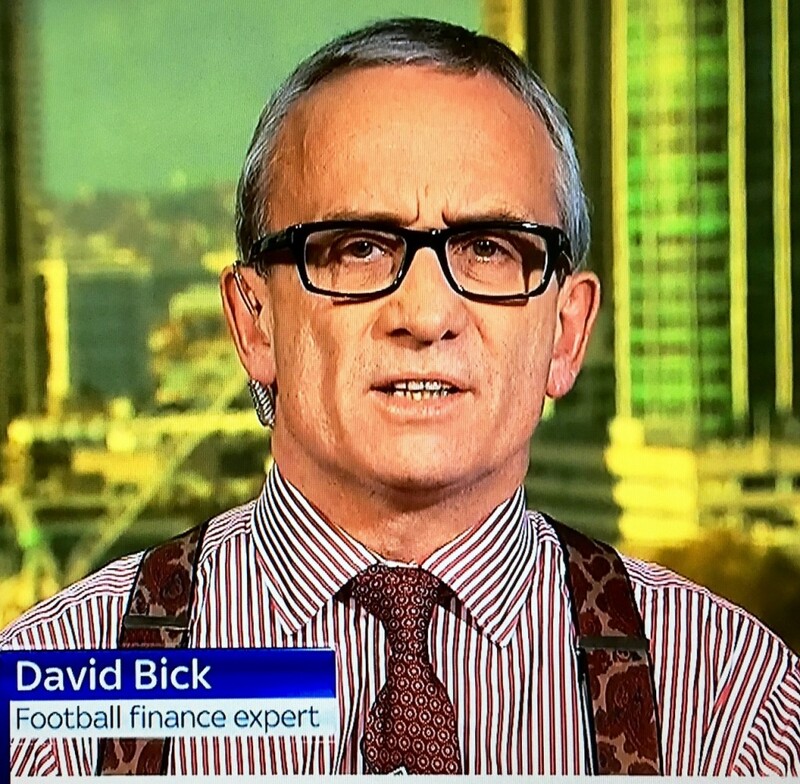 City are the ‘best run club in the Premier League’ according to football finance expert, David Bick. The huge cash injection means City are more capable than ever before to pursue the signings of the best players on the planet, while placing strong emphasis on developing new talent via the incomparable City Football Academy. 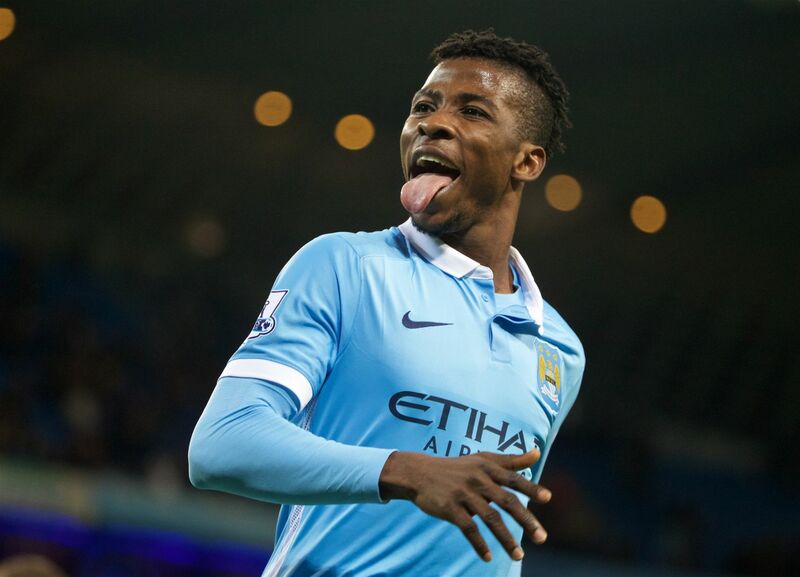 Academy star – Kelechi Iheanacho scored his third senior goal for City against Hull in the League Cup. If only the anatomies of City’s star players were as robust as the club’s bank balance. Health and wealth permitting, the Sky Blues can hit a rich vein of form to cure the ills of recent weeks. 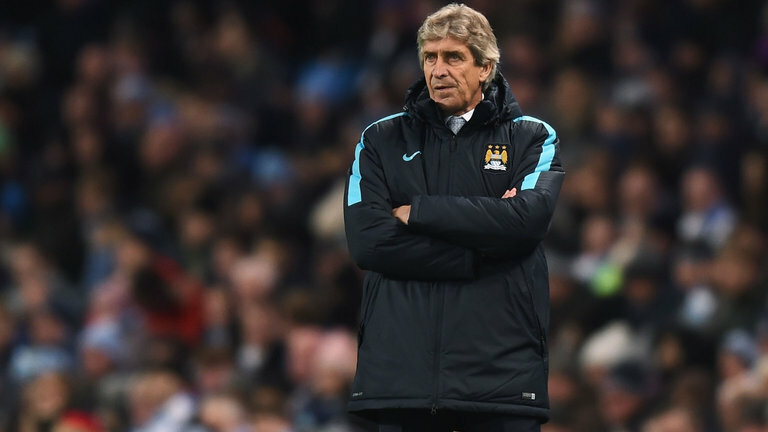 Pensive Pellegrini – can Manuel keep City firing on all four fronts when the FA Cup arrives in January? The much maligned Manuel could then emerge as the most successful manager in the history of Manchester City…and still be on his way in the summer. 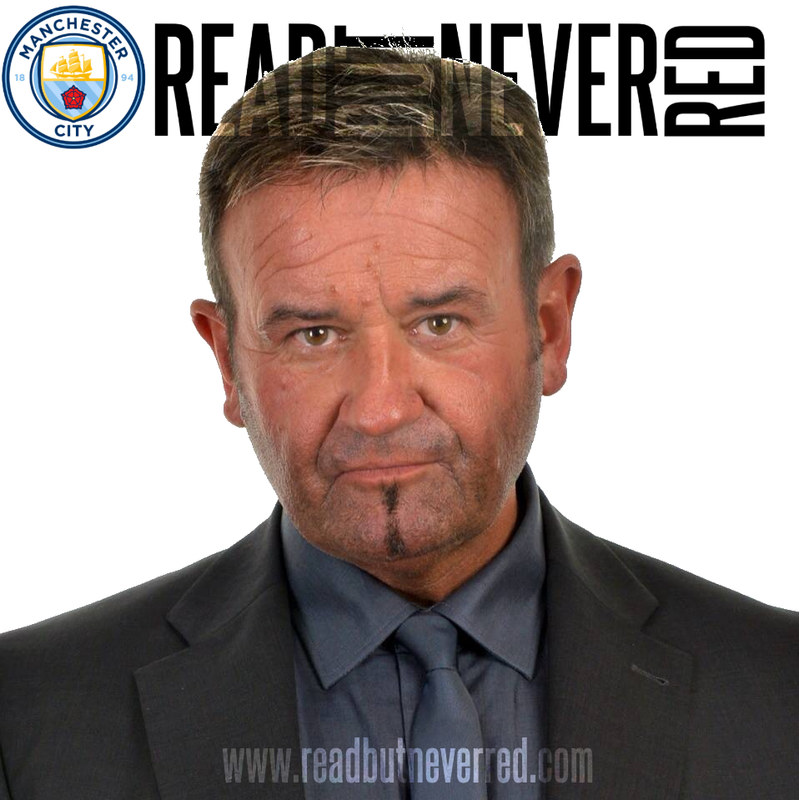 Read But Never Read is pleased to once again be partnering with Art of Football http://art-of-football.com/ to offer readers the chance to win a £25 gift voucher and take advantage of a 10% discount code in the run up to Christmas – just quote MCFC – on any order. To have a chance of winning the voucher just follow @Art_of_Football & @ReadButNeverRed on Twitter & tweet us jointly #ChristmasOfferMCFC. Alternatively leave the words ‘Christmas Offer MCFC’ in the comments section of the blog. Aguerrrooo – the Art of Football capture Sergio’s historic winner. 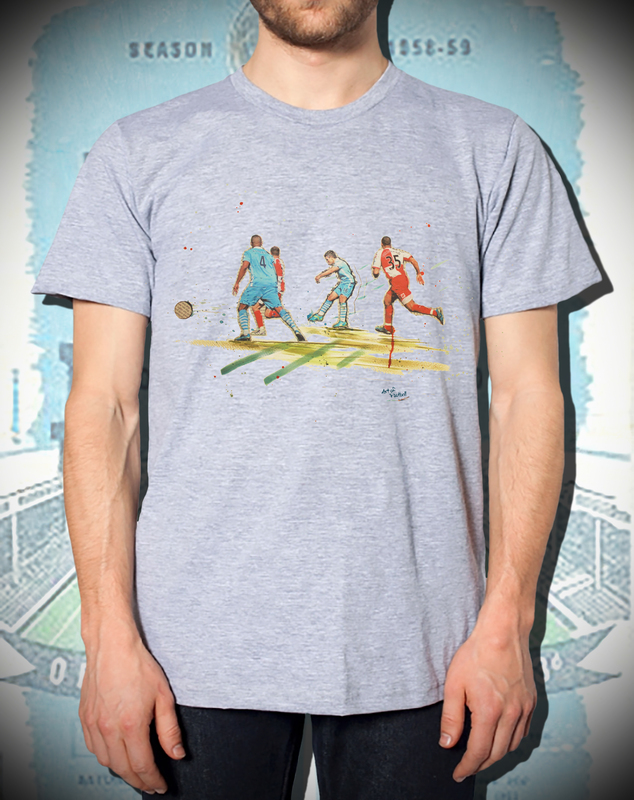 Art of Football feature three iconic City moments in their T-shirt range, namely the Aguerrroooo Moment, Sergio’s subsequent goal celebration and lastly, Super Mario’s ‘Why Always Me?’ during City’s 6-1 derby day win at Old Trafford. Worried that Monk leaving may gee up Swansea but unlike the Villa game there is no new manager to impress so let's hope we stuff them tomorrow. Thanks for sticking with RBNR - it's not as frequent as it used to be - it takes too much soddin' time - but I like to give it an airing whenever I can. Wishing you and yours a Merry Christmas & A Happy Blue Year in 2016. Fortuneatly for City, with the exception of Leicester, no one seems to want to win the prem this year. The fact is, in order to get the title in May, we have to get 3 points today and should have got a result at Stoke last week. Truth is after 15 mins we never looked like getting a result. A performance like the 2nd half against Moncengladbach should be enough to overcome the Swans. But as they say, there are no easy games ! There can be absolutely no excuses for not winning today. That's not disrespecting Swansea, but if City can't beat a struggling, managerless side at home, then we have no right to aspire to winning the Premier League. Thanks for your entry Linzi - bets of luck. 192 MAN CITY 4 MAN UTD 1 - Annihilation, humiliation & devastation - welcome to the Etihad!